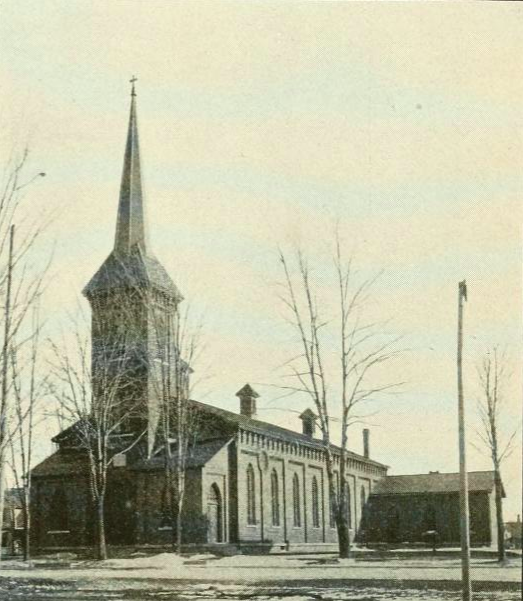 When John Kiely and his comrades in the “Irish Volunteers” of Company K set off for Elmira at the end of May, the factories and shops in Seneca Falls closed, and the men were escorted out of the town accompanied by the local militia company (the Jackson Guards), the fire companies, and throngs of locals. 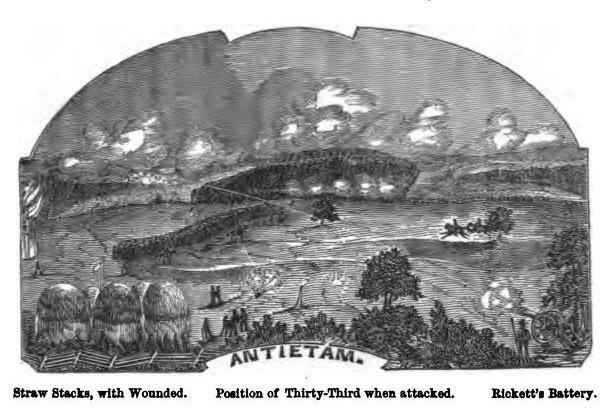 In the months that followed John experienced the hardships of battles on the Virginia Peninsula and Antietam. While the regiment was heavily engaged at the latter battle, one of John’s fellow Seneca Falls Irishmen–Surgeon Richard Curran from Ennis, Co. Clare, who had initially enlisted as a private in Company K– performed life saving actions that would see him awarded the Medal of Honor (you can read Richard’s story here). This claimant is an inmate in an Irish Workhouse the Guardians are of course interested in the success of the claim, which will relieve the Parish of her support. Eventually Mary’s pension was approved, and it surely played an important role in her eventually exiting the Workhouse. Ultimately, she too would end up in America, though perhaps many years later than she had initially anticipated. By the late 1870s she was living with her eldest child Bridget, who was now married and living in Rondout, Ulster County, New York. Like her husband, she had eventually made it across the Atlantic. She passed away there in 1878– the last we hear of her is in a letter to the Bureau from her daughter, seeking arrears of her pension. My Mother Mary Kiely died August 15/78 at Rondout, Ulster Co., N.Y. Received a Pension by Certificate No. 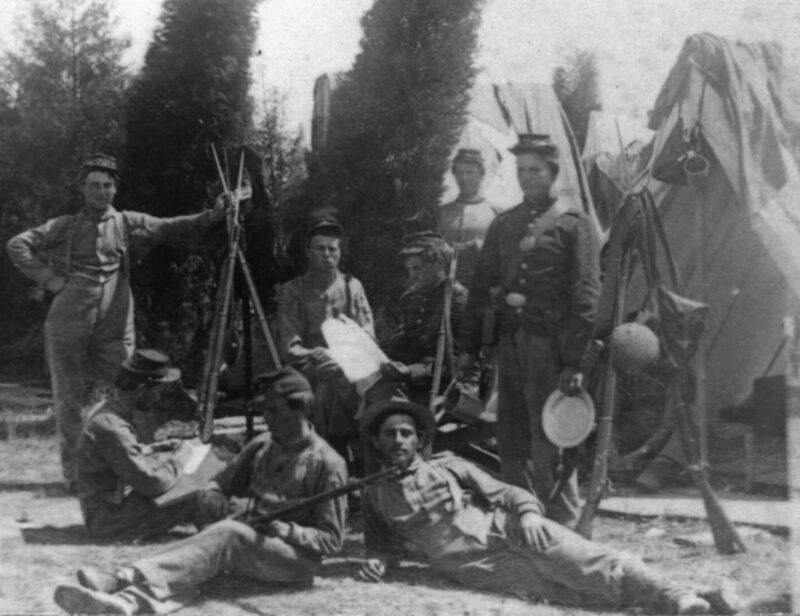 98395 as widow of John Kiely Prvt, Co. “K”, 33d Regt N.Y. Vols to commence August 24th 1866. John Kiely died November 28 or 29, 1862. Under Act Jany 25, 79, if she was living she would be entitled to the arrears viz; the pension for death of her husband, to time her pension commenced, about 4 years. She left 3 children all minors at our fathers death but all of age now are they entitled to the arrears if not can [section missing] we draw the same and if so how. 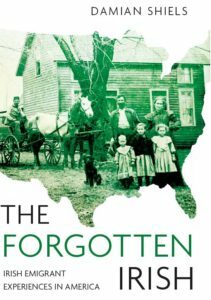 Mary Kiely’s story, though fragmentary, is a good example of how the American Civil War could impact families still in Ireland. It also attests to the links maintained between specific locales in Ireland and Irish communities in the United States. Ultimately, the money provided by the American Government was likely vital in allowing Mary to escape her fate, and finally make her way–along with at least some of her children– to a new life across the Atlantic. Unfortunately, she was far from the only woman who found herself in an Irish Workhouse as a result of a Civil War death (if you are interested, you can find the story of another in my book, The Forgotten Irish). 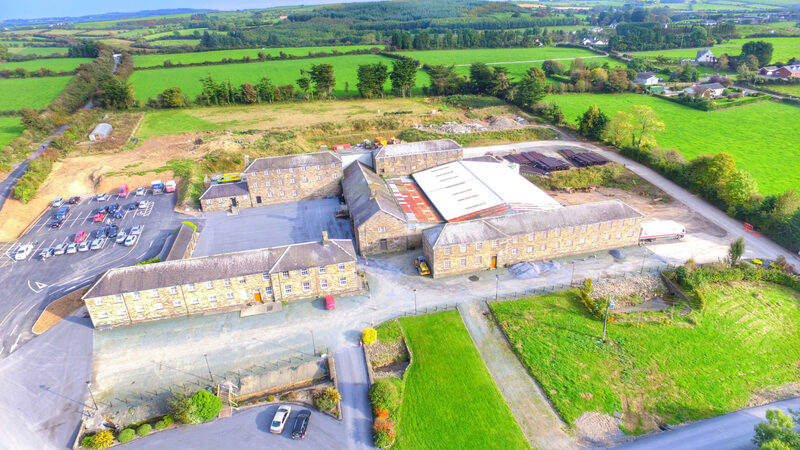 If you would like to read another story connecting American military service with a Waterford Workhouse– in this case Dungarvan Workhouse and the Second Samoan Civil War, you can do so by clicking here. *Special thanks to James Doherty, Willie Whelan (Waterford County Museum), John Tierney, Pat Kenealy and Vivian O’Malley for assistance with this post. ** None of my work on pensions would be possible without the exceptional effort in the National Archives to digitize this material and make it available online. A team of archivists from NARA supported by volunteers have enabled access to this treasure trove of historical information. To learn more about their work you can watch a video by clicking here. Weekly Wisconsin Patriot 20th July 1861. 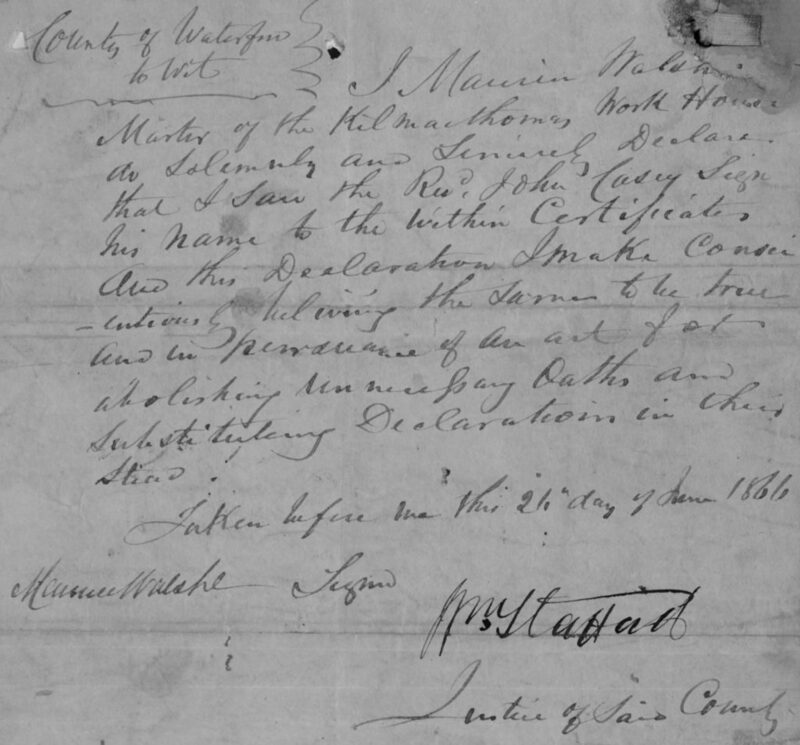 Widow’s Pension File of Mary Kiely. Judd, David W. 1864. The Story of the Thirty-Third N.Y.S. Volunteers or Two Years Campaigning in Virginia and Maryland. Welch, E.L. 1904. “Grip’s” Historical Souvenir of Seneca Falls N.Y. 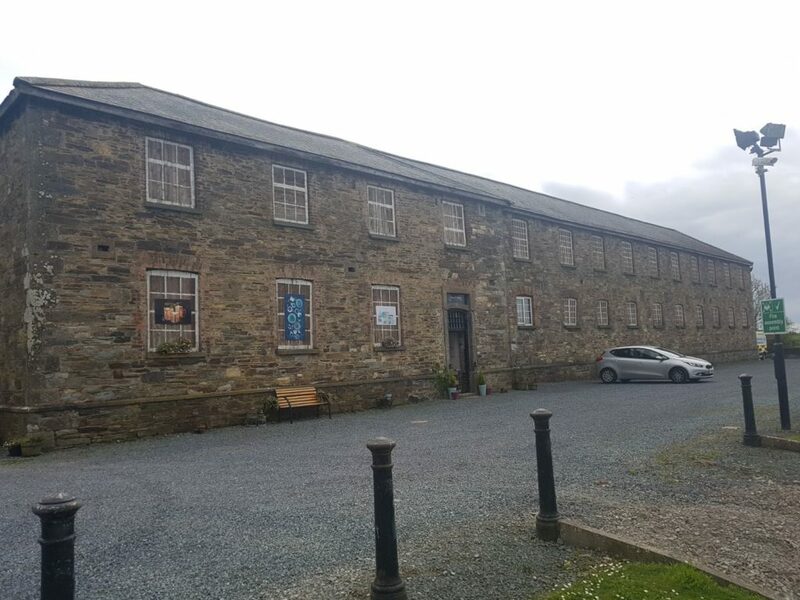 Many thanks from all of us in the Kiely Kiley Connections Facebook Group for your research efforts and story sharing on one of the families of our Kiely heritage in County Waterford. No problem Jackie I hope you find it of use!